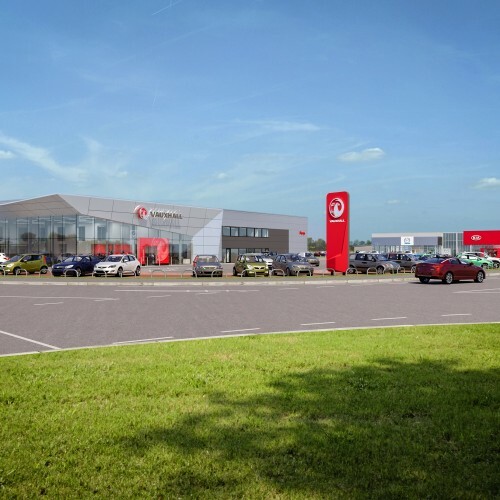 Perrys Motor Group have relocating their facilities from Blackpool Road to a purpose built development on the Preston East site, comprising a Vauxhall showroom (500m² display space, entire building floor area of 1958m²) with a striking Delta Wing feature, and another showroom for both Mazda and Kia cars (610m² display, entire building 1177m²). 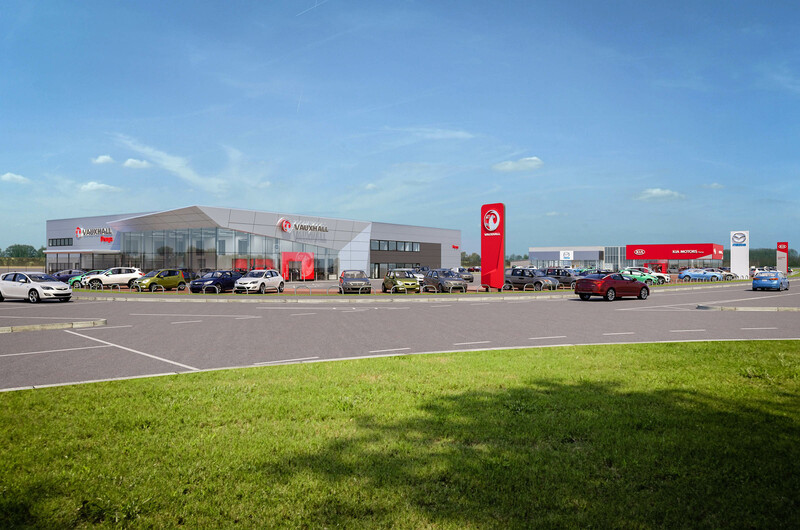 Both buildings will include display areas, private areas for customers to select options and discuss their vehicle in detail, offices and workshops for servicing and repairs. The project has been procured using a traditional form of contract with Cassidy and Ashton acting as lead consultant/contract administrators.